We were very happy to sponsor the team “Better Outcomes 2” in this year’s Ride to Conquer Cancer. The Better Outcomes 2 team includes Dr. Fransen’s husband, Dr. Joel Fransen. You can learn more about the team on their Facebook page. Thank you for sponsoring our team once again this year. Your continued support has made an impact and is helping us take a bite out of oral cancer. Because of our sponsors, Better Outcomes 2 can provide a free bat themed jersey and cycling shorts, bat ears for the helmet, as well as a commemorative t-shirt to each rider on our team. This goes a long way to motivate our riders to raise more money and return year upon year. Our team has the hardest working and most organised support crew on the ride and your sponsorship dollars help us reward each of them for their efforts with a free commemorative t-shirt too. In the 2017 ride, our team won the award for raising the most money for a community based team of 10 to 19 riders. We are on track for retaining that title in 2018. On the 25th to 26th of August our team participated in the BC Ride to Conquer Cancer for the eighth straight year. So far, our team has raised over ninety-three thousand dollars. Only a few more riders still need to reach their fundraising minimum and once they do we should have in excess of ninety-five thousand dollars for the 2018 ride. That is over ten thousand dollars more than what we raised last year! Together we are taking a bit out of oral cancer. Our team is hoping to raise even more money in the 2019 ride. The money our team raises goes to the Dr. Michele Williams Oral Cancer Research & Education Fund at the British Columbia Cancer Agency. This was the first time the ride stayed within British Columbia. Although, the weather played a few tricks on us it was a most enjoyable event. Also this year we welcomed many new riders to our team and created some new lifelong friendships as well. Our team spirit and great outfits are a winning combination and have helped us grow the team over the last few years. An added bonus of sponsorship is that our riders are encouraged to wear their bat-themed jerseys and shorts as well as bat ears on training rides and other cycling events. Henry Doyle wore the full 2018 BO2 bat-themed regalia in the Gran Fondo the other weekend as did Marc Schouten, Trevor Treasure, and I in the Medio Fondo. 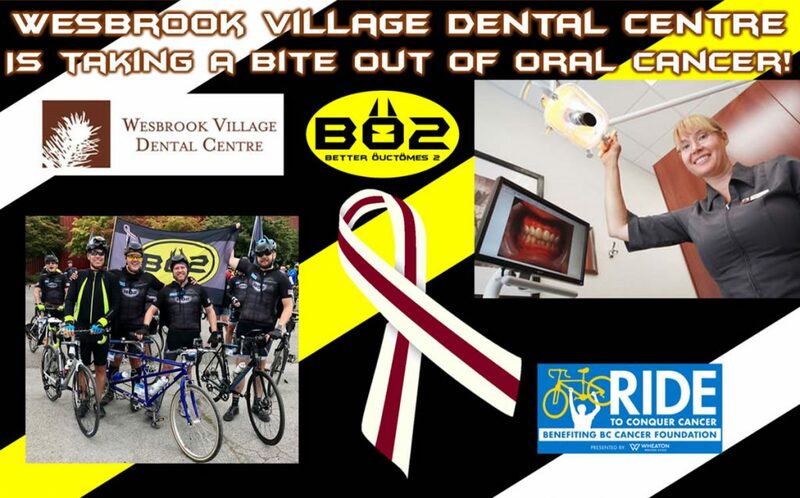 The positive publicity for Wesbrook Village Dental Centre extends beyond the Ride to Conquer Cancer and Gran Fondo weekends. Our team is hoping to have riders in a number of other events in 2019 and continue to raise awareness of oral cancer and the need for more research dollars. 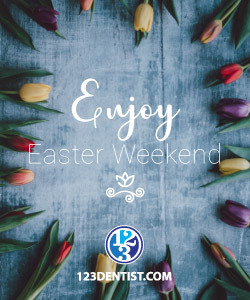 We will keep you posted of developments and hope some of the Wesbrook team can join us for some of these events as well. We are tentatively planning on having a contingent of riders in the 2019 Canada Day Populaire Ride. Once again, thank you for your support and bring on 2019!